I know summer is still here and the sun shines really bright giving us unbearable temperatures but it will come to an end and we must rethink our wardrobe for this fall. The stores already offer us their new autumn collection so here I made a post about the trends that we're already wearing and we can keep for the new season too. Winter white - the perfect color to beat the summer heat, white can also be adopted in the cold season too. You'll look chic and modern in an all-white outfit. What trend will you keep and what will you toss away? I love emerald colour so much! Loving emerald! Such a gorgeous colour. 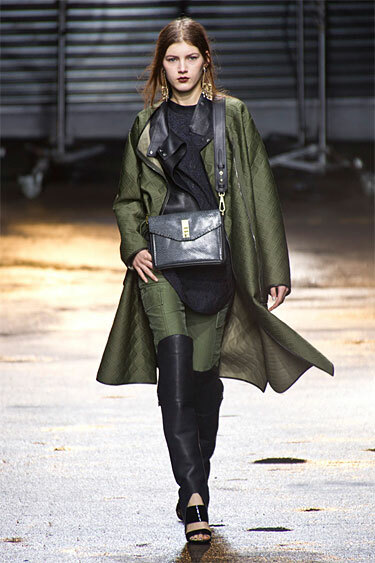 I love fall fashion and I love the military trends!!! 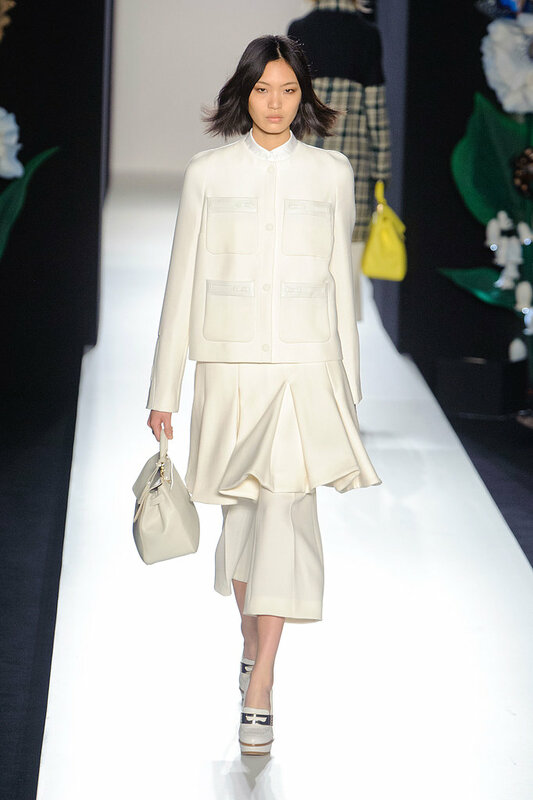 I love Philip Lim of a green suit up the 1st picture, real chic and cute! We love the emerald suit!!! I'll stick with leather outfits! I like the green blazer! nice post, I prefer the winter white and military trend. nice selection! this fall i'll be in the mood for white (i can feel it :))! great looks ^^ Your blog is a real inspiration! Great post hun, loving the emeralds and winter white ideas! I love the esmerald one! great post! follow each other? let me know! I will keep them all, but especially peplum and emerald! Love the whole white look and the midi skirt!! Oh I just LOVE emerald. Such an elegant colour. Great post. I'm really into a few of these. I've been about winter white for a while and I love the military style! I am so ready for Fall! I'm glad these trends are sticking around! Great selection of the coming trends! I love emerald green! Have a great Friday dear! love the green one so much! I love the esmerald outfit!! I love emerald green and winter white. I'm not a big fan of military prints. super frumoase viitoarele trenduri ! Wow so amazing and inspiring!! Love all there Fall trends! I would love for you to visit my blog and maybe we can follow each other on GFC and Bloglovin?